Effective management of employees at workplaces is an essential factor to achieve high production and better performance. Globalization has contributed a lot towards the economy of the world and can be defined as the process of spreading goods, services, people, ideas and culture across the globe via integration of many governments or nations. Globalization incorporates the international trade, tourism, technology and migration across the world. The process of globalization has led to the integration of various aspects such as frugality, knowledge, legislation, data, trade, social life across the globe. This essay will discuss the impact of globalization and how proper management of team and groups facilitates globalization. Globalization can be defined as the process international influences between organizations, businesses, states, and companies. Globalization leads to operation within the scope of international scale through development of an integrated global economy through free trade, capital flow and foreign labor markets (Chan, Pun & Selden, 2013, p.82). Besides, globalization increases through interaction between people, states, and exchange of ideas and culture. Globalization has been driven by many forces such as technology and innovation. Team management is a collective term for different types of exercises used to promote social relations and characterize parts inside teams, regularly including collaborative tasks. Team management is a combined term for various sorts of activities used to improve social relationships and distinguish elements inside organizations, frequently including cooperative operations to improve production. Effective management of organizations and groups within an international level enhances globalization. Globalization has greatly enhanced economic process through integration and promoting social-cultural aspects (Chan, Pun & Selden, 2013, p.136). Globalization has resulted in the removal of economic barriers between nations and has promoted bi-lateral and multilateral trade. Globalization has encouraged the flow of capital, goods, services, and labor. Free trade among countries has driven globalization as nations are now able to do businesses without many tariffs. Technology has led to advancement in transport and communication thereby accelerating global trade (Chan, Pun & Selden, 2013, p.26). Through technology, multi-national corporations and businesses have been able to seek international markets and identify global competitors. According to Chrystia Freeland, technology continues to advance leading to globalization expansion and emergence of plutocrats that includes powerful and wealthy nations. Globalization is fueling development and global income (Banerjee, 2008, p. 67). Globalization has led to interconnection in economic, political, cultural and environmental aspects. Technological innovation and renovation connection have linked the world resulting in the emergence of winners and losers. The difference amid the wealthy and the poor has increased. The economic expansion through globalization has led to inequality making stronger nations more wealthy while the weaker countries are becoming poorer. Globalization is driven by technology and innovation, competition, market and industrialization (Freeman, 2006, p.67). Through globalization, ideas, experiences, and knowledge have been shared leading to substantial workforce and labor. Effective team management includes training to enhance the proficiency of the group members from different parts of the world. The productivity of team members is improved through proper team management and globalization (Freeman, 2006, 97). Economic globalization has led the emergence of International bodies and organizations such as the World Trade Organization (WTO), World Bank, International Finance Corporation (IFC) and the International Monetary Fund (Freeman, 2006, p.87). The world labor workforce has impacted the global economy through an international division of workforce (Ferner, et al., 2005, 234). 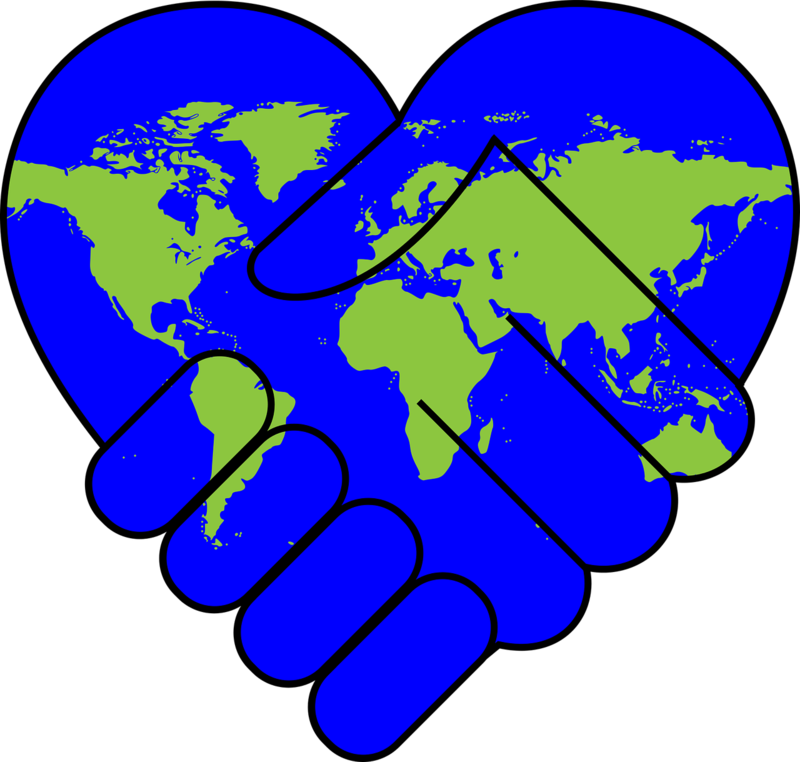 Globalization connects different people from different parts of the world by providing a variety of goods and services. The production of products and services has increased leading to affordable prices due to competition. Globalization creates many opportunities for businesses, innovation, and invention (Morgan, 2006, p.94). Many people across the world are coming up with a new invention to solve global problems such as droughts, diseases, and other natural calamities. Poverty index among community members has reduced through international cooperation. Global warming and climate change have reduced thereby combating draughts and reducing hunger (Chan, Pun, & Selden, 2013, p.47). Globalization has led to significant efficiency and scalability through mobilization of resources across the world. Through efficient team management, globalization has influenced productivity positively. Team management is a process of organizing different groups of an organization’s employees into smaller units that are manageable for various tasks. It can also be termed as a collective tenure for different types of activities that are used to promote social cohesion in production (Buller & Bell, 2006, p. 87). Team building management defines responsibilities within a given team which incorporates cooperation and collaborative activities. The primary objective of proper control of the group is to involve employees to engage in some collaborative effort. The collaboration aims at stimulating creative thinking in any given organization leading to the generation of new ideas with a purpose of increasing profitability during globalization (Duncan, 2011, p. 78). Besides, environmental challenges such as water and air pollution, overfishing, global warming, and any other resource depletion have remained a global concern bringing nations together towards solving the challenges. Furthermore, globalization influences businesses, organizations, economy, socio-cultural activities, education, health, agriculture and natural environment. Globalization has been divided into economic, cultural and political. Globalization has led to competition between nations leading to the weak and robust economy. However, the weak economies are getting financial and monetary support from the developed nations such as G8. Effective management of teams and groups improves the productivity of an organization through effective motivations. Through team building, the employees will break the barriers between them that might be a result of racism, political difference, personal difference and any other discrimination. Team building leads to unity as the employees are allowed to interact with each other and learn new skills and techniques through the interaction. The collaboration and cooperation from members of the team create more bonding between the members of the group and gives them more morale towards achieving a given goal (Martin et al, 2006, p.78). Government policies such as immigration policies have contributed a lot towards globalization as more immigrants are moving into America looking for casual jobs. The immigrants have affected the wages and the workforce. The immigrants are accepting fewer payments and these impacts the workforce in the United States of America. Government policies drive globalizations to a more significant level making the America workforce wages less. Also, the aliens or immigrants have contributed to high competition for jobs. The labor force in the United States of America is very competitive, and the immigrants have added to the unemployment rate. Globalization has also contributed to discrimination in workplaces due to income inequality. The Global natives and immigrants are treated differently, and this affects workforce in the United States of America (Freeman, 2006, p.94). Technology and innovation are believed to the most significant driver to globalization and the biggest threat to the workforce in the United States of America and another developed world. Technology advancement has made businesses, investments, companies, governments, and organization to adapt to quickly. Technology and innovation have affected the Global workforce, and many companies prefer using robots, types of machinery, tools, and computers instead of employing human beings. Human Resource Management has been affected by the advancement in technology as the HR managers are no longer recruiting more people but embracing the use of technology (Levitt, 2003, p.113). Implementation of change initiatives requires a lot of commitment from both the employees and their bosses. The role of implementing change initiatives involves participation, training, communication and developing visions. The organization must communicate the urgency of change and choose the right team that will drive the change. Empowering employees put them to action and ready for a change. The organization’s culture determines the success of the intended transformation. There must be strategies and plans that will guide the process of change (Freeman, 2006, p. 35). Advancement in communication and transport has reduced the number of employment rate significantly as many companies tend to adapt to change. Advancement in technology has made communication very efficient and effective. Many organizations keep adapting to new methods of communication such as the use of the high-speed internet. Companies are now using computers in their daily operations, and this has reduced the number of people employed in these offices. Multinational corporations are now able to communicate with other nations as a result of efficiency in communication (Gold, Hahn & Seuring, 2013, p.78). Improved transportation has driven globalization through the air, rail, and water. Hi-tech transportation has made the advance in technology has impacted the movement of goods and services elementary and efficient Global workforce technology. The Global workforce in the transport has improved as more people are employed in airports, hotels and tourism, buses and railways. There is increase mobility in search of jobs where young and old are moving from state to the other (Levitt, 2003, p.89). Globalization is a significant threat to job security and employment. Many people in the world have been left jobless due to advancement in technology and innovation. The negative impact caused by globalization has led to more crime due to joblessness whereby many young people lack jobs and tend to look for other means of survival. However, the growth of international companies and Multinational Corporation, as well as a high increase in economic growth, has promoted employment. Global trading has enabled people to move from one nation into other thus creating more jobs for young people despite the barriers to employment caused by technology and advancement (Levitt, 2003, p. 38). In conclusion, the Global workforce has been affected so much by globalization. Technological and innovation advancement have driven globalization to a more significant level which has created a negative impact on the job market. Human Resource Managers should seek new ways of strategies of implementing change in the workforce. The production of goods and services has increased. Bilateral and multilateral businesses have led to global development. The removal of market barriers in trade has enhanced globalization.